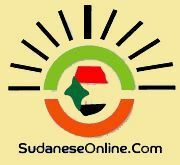 Khartoum, Oct.1(SUNA)-The Foreign Ministry on Saturday said it considered the resolution adopted by the Human Rights Council on extension of Independent Expert mandate for a year under article 10 as a success for Sudanese diplomacy. The Ministry said was due to the fact that a number of draft resolutions were about to be tabled by western countries which, under insistance from the Sudan, withdrew them. the Ministry said the Sudan was fully supported by the Arab and African groups as well as the non-aligned and Islamic states. Foreign Ministry's Official Spokesman, Ambassador Qareeb Alla Khidir told SUNA that the resolution adopted by the Human Rights Council was an important step indicating the country would be getting out of the circle of special procedures. الغرب - الاستنارة: مهمة هدم العالم الإسلامي ...؟! الدكتور النور حمد يخرج من الكهف!! الدكتور فضيلي جماع ضيف BC FM 93.2 غدآ ( راديو المجتمع بريستول) يستضيفه صديقنا نميري حسين . المغترب بعد رجع لقي وكيلو ود عمو أكلو قروش البنيان ست . منقول: اتهم "الموج" السيدة تراجي بانها قد باعت قضية الوطن "بحفرة دخان" !!!! يا للعجب. وهكذا تتعاطفون مع بائعات الشاي والقهوة دون قيد أو شرط في صحة الإنسان ..!! الفروقات البيلوجية بين المرأة والرجل ! الزميل ود أبو: الكوكا كولا تكسب ...؟!! !